Walking into Deb Lederer’s art classroom at Carrboro Elementary School last week was like entering a portal to another world. On one side of the room are six large refrigerator boxes, painted on all sides with vibrant scenes of a make-believe world. Next to the scenery, on a table, is a pile of green glittery hats that looks small compared with the enormous face of the cartoon elephant leaning against the wall. 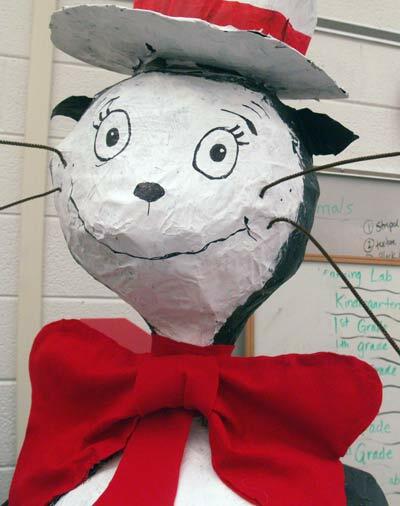 Giant fluorescent papier-mache fish are scattered across the paint-splattered floor, and a large cat in a red-striped hat, stands in the corner grinning from whisker to whisker. They’re pieces of the world of “Seussical Junior,” a musical based on the books of Dr. Seuss. 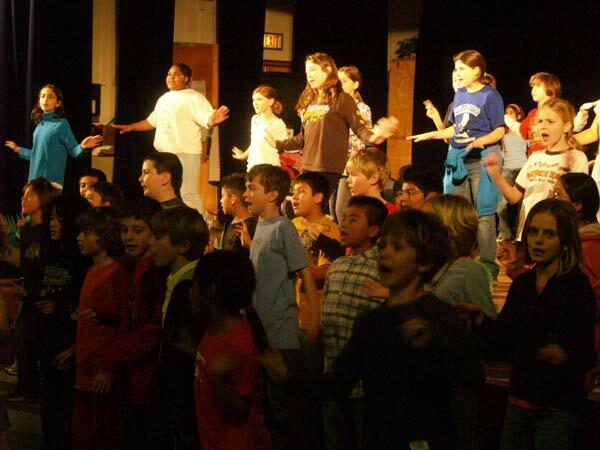 Carrboro Elementary students brought it to life at three performances Thursday and Friday in the school’s auditorium. About 150 students, mostly fourth and fifth graders, handled the production’s singing, dancing, puppeteering, sound, lights and backstage responsibilities. The production comes at a time when state school boards are cutting back on fine arts programs in public schools because of repeated budget cuts. Although arts programs in the Chapel Hill-Carrboro City Schools have not borne most of the burden of cuts, money is still tight. “We hear all the time what we don’t have time for and what we don’t have money for,” Lederer said. But Lederer, who directed “Seussical” and designed the sets, said the show brought the school together. “Seussical” was in the works for about six months, Caruana said. And nearly all of the children in the production, Lederer said, came to school early, stayed late and even skipped their recess periods during the week to work on the show. Lederer said “Seussical” is all about giving kids an outlet for that creativity and potentially getting them interested in the arts.